La Brea Air, Inc. offers temperature control rentals in the Los Angeles, Las Vegas, and San Francisco Bay areas and beyond. Our huge rental inventory and experienced staff allow us to serve many type of clients. 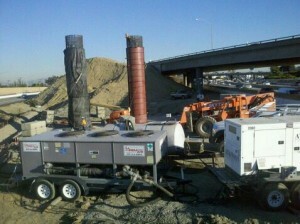 We are also well known for our mass concrete cooling projects that utilize our air cooled chillers all over Southern California on large overpass and bridge construction. 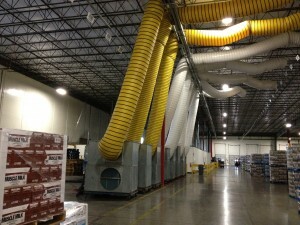 Our temporary cooling and heating solutions include applications such as medical buildings, test facilities, aerospace, plastics manufacturers, food storage / processing facilities and data processing centers. 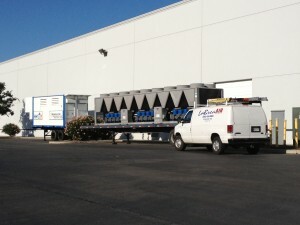 La Brea Air has been providing rental emergency temperature control with packaged air conditioners, chillers, hot water boilers and portable electric heaters for 78 years. Contact us today for competitive prices and responsible services.